When I attended a scrapping retreat last month, Ken Oliver of Spellbinders had a Make 'N Take for the group. He was showing many new dies from a new line called "In'spire". I just had to purchase the "Bird Stand" die and here's my first card. This is what I envisioned when I purchased it. I did not add any text to this as I'll do that when I decide how to use this card. I cut the die 3 times using the tan, green, and red card stocks. 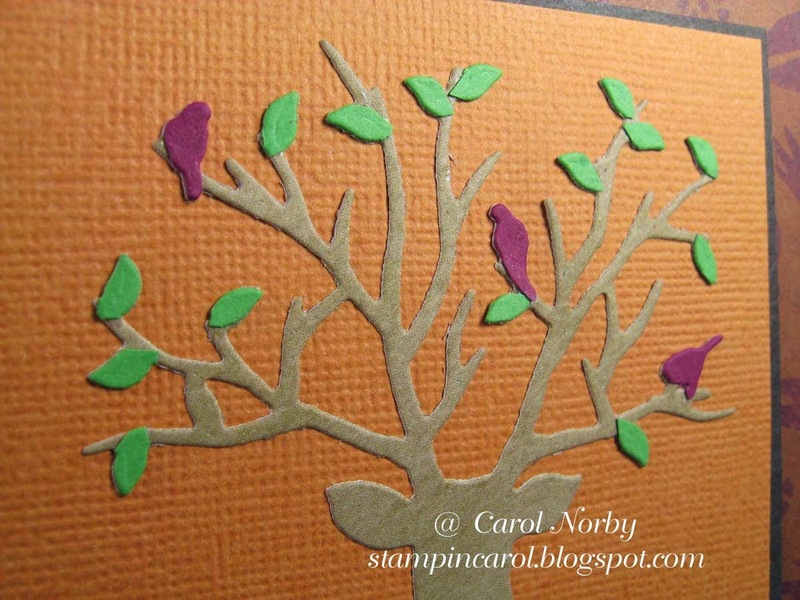 Then I cut each leaf and bird and carefully glued them on. Very time consuming. I'll have to think about doing all this cutting again... Maybe just cut white and color. Here's a better view. Thank goodness for tweezers and a Zig glue pen. And I think my background pattern paper is the perfect match for this die. What's your thoughts? 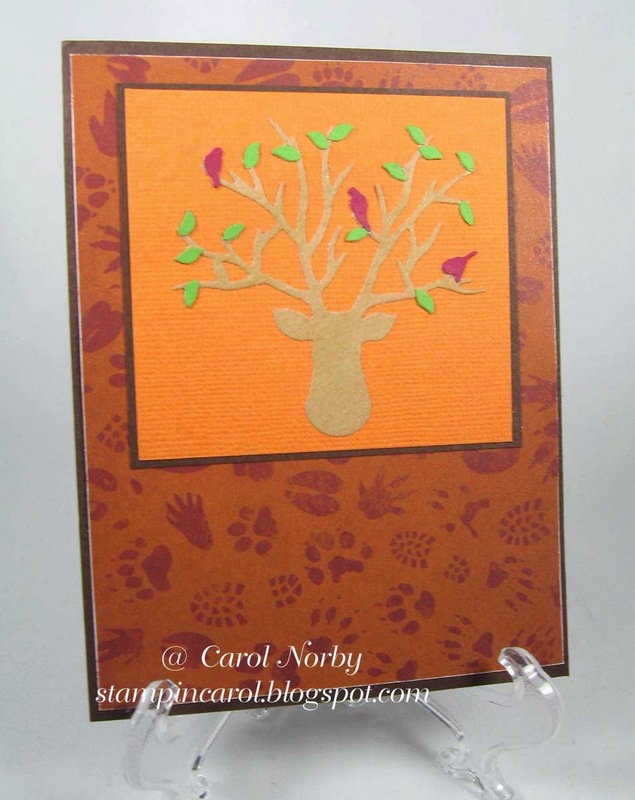 This card is my response to the new challenge over at Red Rubber Inspirationals called "Back to Nature". Head on over there and see the fabulous inspirational projects and get your mojo flowing! I actually have most of the stamps used by Drea and Paula Kay! Fantastic card!! I love that tree and the colors are great! Thanks for joining us @ Red Rubber Inspirationals! Carol, the cutting multiple times was worth the effect. Try white and ?, but hang in there with triple color. Good lookin'. Ha! a bg paper! I thought you had creatively used the (Fiskars?) clear stamps randomly making your own bg. Well, someone saved you the time. Yes, very good match!